Suzan Scott joined the BSOA in 2012. She is a fifth generation Bozemanite and returned to the Big Sky area after spending numerous years working in government affairs and advocating for a great variety of public policy issues at all levels of government in the Northwest region, including Oregon, Washington, Idaho, and Montana. Graduating with a Political Science degree from Montana State University, Suzan has extensive experience in non-profit and for-profit management and administration. She enjoys a variety of sporting and outdoor activities with her husband, Peter and their four children. Jess is originally from the northeast and has spent time living on both coasts. She fell in love with Montana on an extended road trip and moved here for good in 2016. With a B. S. in Business Management, Jess has more than ten years of project management experience and worked internationally before joining the construction industry. 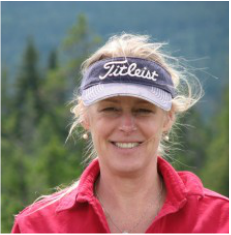 She has several years of experience working with builders and architects in the Big Sky area and loves being part of such an active industry in close proximity to open spaces and the quiet beauty of our surroundings. She enjoys any time in the great outdoors, especially with her young pup Emmett. Steve Anderson was not born in Big Sky but got here as fast as he could. He has lived and worked in the Far East, Middle East and Europe. Steve is a Rhode Island native who obtained his BA from the University of Maryland; his MBA from the University of Rhode Island; and has recently completed doctoral studies at BYU. Steve and his wife Lynne are the parents of six and the grandparents of 20. They have vacationed in Big Sky since 1978 and – once their youngest left the nest -- have been residents here since 2002. Amy is originally from Northern California but moved to Big Sky in 2013 after visiting family. She fell in love with the beauty of the locale and the kindness of the people who lived here. Amy earned a B.A. in writing from Point Loma Nazarene University in 2013. She has 5 years of experience working as a contract administrator for a big construction company and most recently worked in payroll and accounts. She is excited to be joining the team here at BSOA as the Administrative Communications and Events and will be the warm and friendly voice that greets you on the phone. Amy is the loving mom of two energetic young girls. Gary has been a full time resident of Big Sky since 1995. In the past, he worked for an excavation company and managed several construction improvement projects for Big Sky and Moonlight Resorts. He has been involved in industrial, civil and residential construction since 1972 in a variety of roles and with several local Montana companies. As a Project Manager he has overseen all phases of project work, including design, financial, permit, contracting and the implementation of the projects to completion. The job he has now with the Big Sky Owners Association will draw on all of this experience and he looks forward to furthering the BSOA projects and is excited to join the BSOA team in Big Sky. BSOA staff are a combination of full and part-time professionals who are available to assist you with any questions you may have about your property ownership in Big Sky. Stop by the office and say hello!